A smoke detector also called a smoke alarm is a device that detects smoke, typically as an indicator of fire. 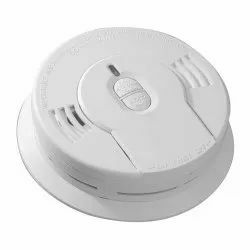 Commercial, industrial, and mass residential devices issue a signal to a fire alarm system, while household detectors, known as smoke alarms, generally issue a local audible or visual alarm from the detector itself. A hearing and alerting system that provides awareness of household alerts, including doorbell, telephone and smoke detectors. Alerting can be provided through visual and vibration cues through a remote control and also by beep signals sent directly to the hearing instruments. Banking on the individual requirement of the clients, we offer application specific array of Smoke Detector that are easy to install and are application specific. 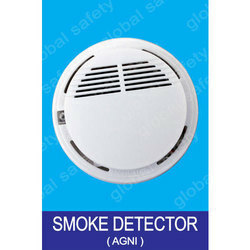 They can readily detect the smoke and fumes and helps in preventing the fire accidents. They are application specific and come with standardized solutions.